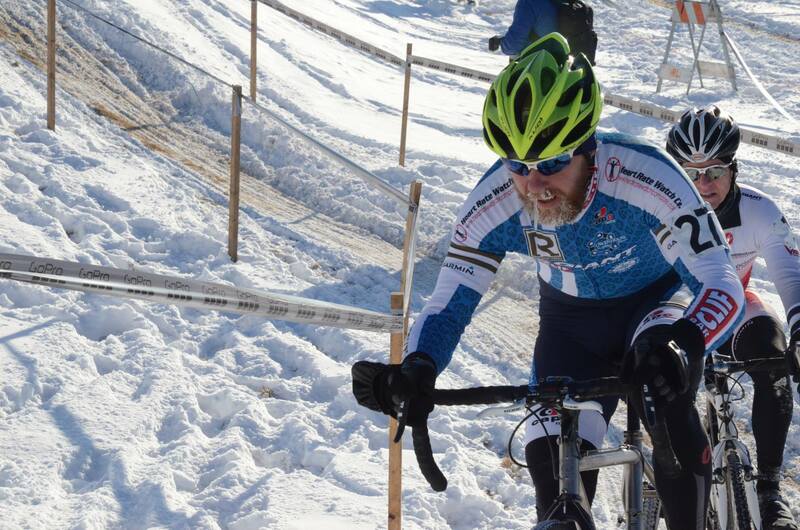 The conditions in Bend this weekend are best described by this photo Matt sent us of a Suffer Face Snotcicle. How cold is it at the Deschutes CX? Too cold for clever catchphrases describing how cold it is. Mahan, who’s comforting Russie in the photo, pulled me off my bike. He then dragged me to the Redline tent to get warm and a few minutes later handed me a cup of Espresso. In the tent, Tim Rutledge checked on me, made sure I wasn’t hypothermic, and handed me a plastic rain cape. The propane heater steamed the cold and wet perspiration off of my kit and I felt at home. Back to racing next weekend for us and today it’s riding in the cold with embro’d legs. When Matt gets back to Seattle and warms up, he’ll have a report; including how well Di2 worked, staying upright, and hydraulic fluid clotting.